In the United States someone becomes a victim of identity theft every 2 seconds! 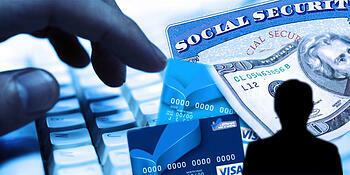 The risk of personal financial loss can come in many forms, identity theft seems to be rampant in today's world. Sadly the perpetrators are not always strangers to the insured. They can be trusted individuals, such as caretakers, financial advisers and private staff. The standard homeowner's policy typically does not include identity theft protection. Although the policy does include some coverage for personal property, reimbursement is subject to a monetary limit. Fortunately fraud protection is available! This coverage may be added as an endorsement to your high value homeowner's policy through a preferred writer such as AIG and Chubb. While we enjoy all of the electronic gadgetry at our fingertips, this also increases our exposure to identity theft. By utilizing the Fraud Protection endorsement on the High Value homeowner's policy, the insured can be prepared and protected in the event they fall victim to this rising crime. Email fully completed application to PLQuotes@Stuckey.com.